Are you looking for a 9th Generation HP server with similar processing power and memory footprint with even more expansion and scalability options? 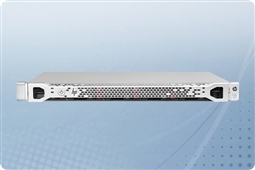 Please browse our HP ProLiant DL380 G9 2U servers. Can’t find what your need or have a question? We’re here to help! Please call us at 1.855.AVENTIS (283.6847) or use our Live Chat Live Chat during regular business hours. You can also email us at Sales@AventisSystems.com.